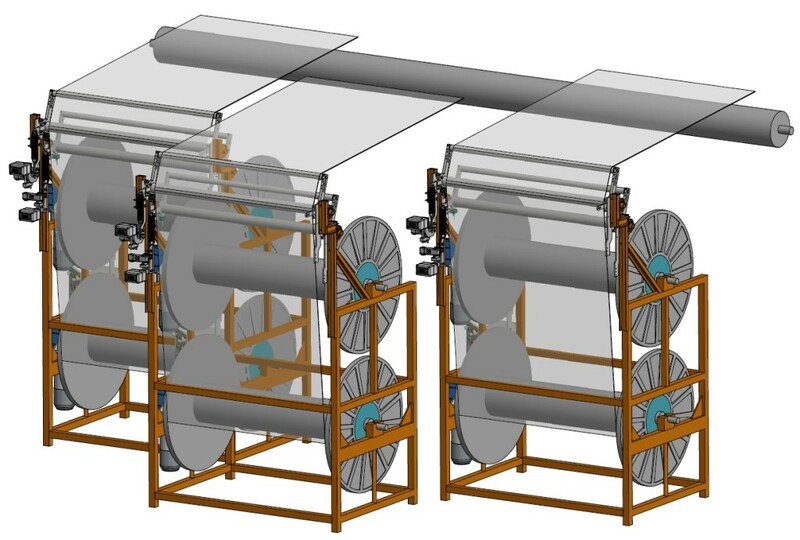 In applications where the standard warp beams are quickly worn out, the use of larger warp beams can make the knitting process more efficient and economical: the larger the diameter of the beams, the longer the knitting machine running time between beam changes. The beams are positioned on independent warp beam stands. 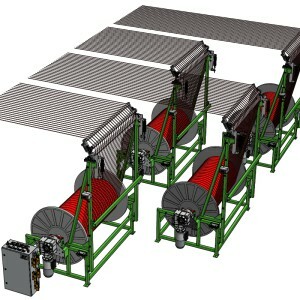 Several warp beams can be arranged either on top of each other or in a row. The warp beam stands have been designed for easy handling of the warp beams during beam changes. The warp beam stands are constructed and manufactured according to customer requirements. The knitting machine feeding unit pulls the threads with the required speed from the warp beams and delivers the threads to the knitting position. While doing so, the threads coming from the warp beam are guided across a spring-loaded roller system. The thread tension of each warp beam is individually adjusted with the spring from the roller system. The position control of the warp let-off controls ensures consistent thread tension from a full to empty warp beam. 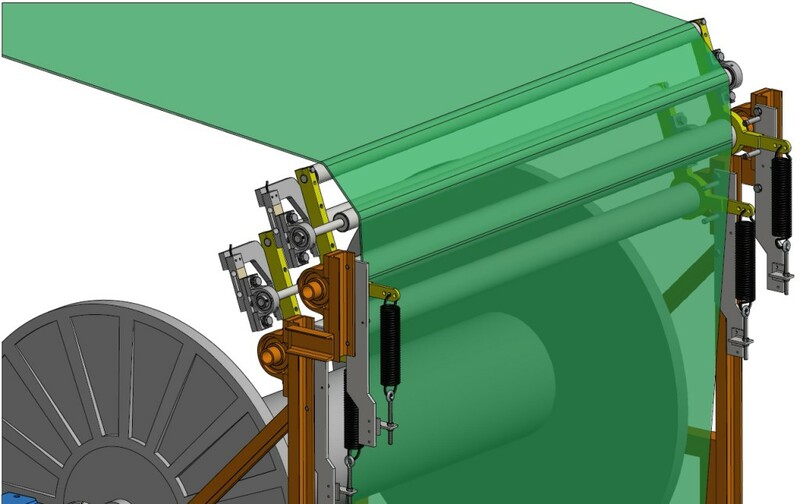 The roller system can be equipped with a tension display to ensure the reproducibility of the tension adjustment.